Dales is wanted in connection to a grand larceny that occurred on April 26th, 2016. 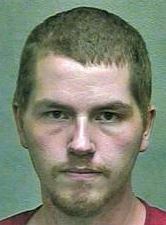 He stole a very expensive guitar from a music store in NW Oklahoma City. He was last seen in a black 2004 Nissan Maxima with OK plate 163-MDZ. to find Frank Anthony Dales?